Now, I've a 3.8L engine. 2nd Gen. So "where" to SEARCH? Or = approximately, "where to POST?" and yes I've got the FSM for my 98' Intrigue. OR - access to the Public Library Automotive Database online - beings it amounts to almost the exact same thing (in 99% of things except "diagnostic flow charts" for so-called pros. Not knockin' it just sayin. 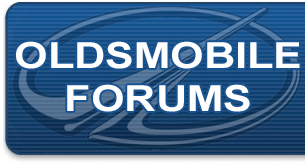 Then there's "forums" plural or "forum" singular - IOW the "other" guys web. That's NOT a "complaint," just a (to me anyway) highly important question about when/where/how to actually make a post, or alternatively ask a question, or even do a search. Dictionary is a great thing so long as its alphabetical. I've NO EARTHLY IDEA if this Q? has been asked a million times but I bet it has (NOTHING NEW under the sun) and is ignored just like every other (relatively) important concept in the so-called "Information Age" AKA "Age of TMI." c) M14 and 2" long, i.e., longer than the 1.25 one I bought which goes in the garbage. The 1.25" I listed above will NOT (quite) fit my radiator and obviously the ones with PINS will NOT work. Nor will the Toyota type (it's a hair too big meaning its OD = aprox. 16mm and is too thick). I searched Napa, Car Quest, Advance, O'Reilly's, Autozone, both in-person and on the Web. No Dice. However ... perhaps the 14mm 2" (not 14mm 1.25") actually WILL work? (and not a 15mm which is not under Anybody's purview anyway - least far as I know). NOBODY STOCKS A 14mm and 2" bung. WTF? A) I've NO IDEA where to post this w/r/t "please spec my aftermarket radiator BUNG?" spec my bung. diddle my balls. I mean SERIOUSLY. b) also, it becomes OBVIOUS (though I've never seen it mentioned -- anywhere) that one must BEND THE F-#$ out of the radiator mount/assembly (metal flange i.e., w/ pliers or WHATEVER) AND the plastic splash guard to even GET to the blasted bung. That's IMPORTANT. Does one not WISH to access the low-point on the cooling system? Does one not wish to EASILY drain/fill coolant? am i in never-never land? PS "Don't LOOSE TRACK OF YOUR BUNG"
PPS: I generally try and avoid "attention," rather than seek it. I've come to realize in the last five minutes the (modern) world of people operates exactly opposite. It compels it. Call me "Joe" AKA "Blow"